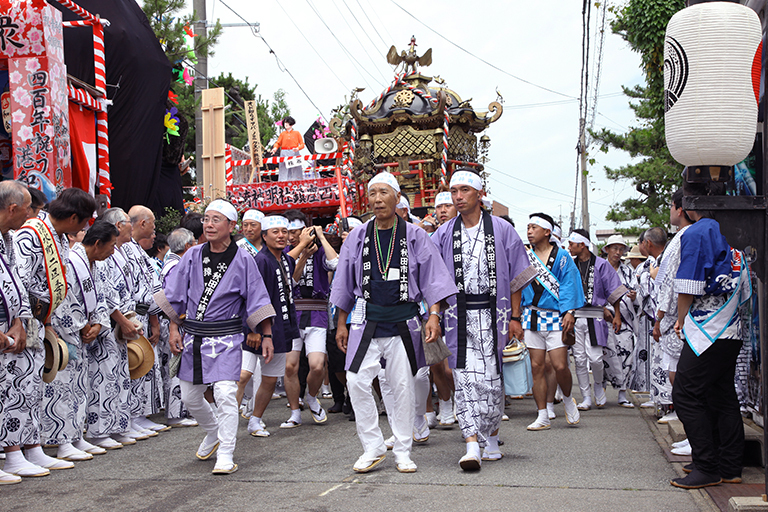 “The Hikiyama Parades of Tsuchizaki Shinmeisha Festival” are part of the sequence of annual rites performed by the Tsuchizaki Shinmeisha, which is the central shrine of the Tsuchizaki town. 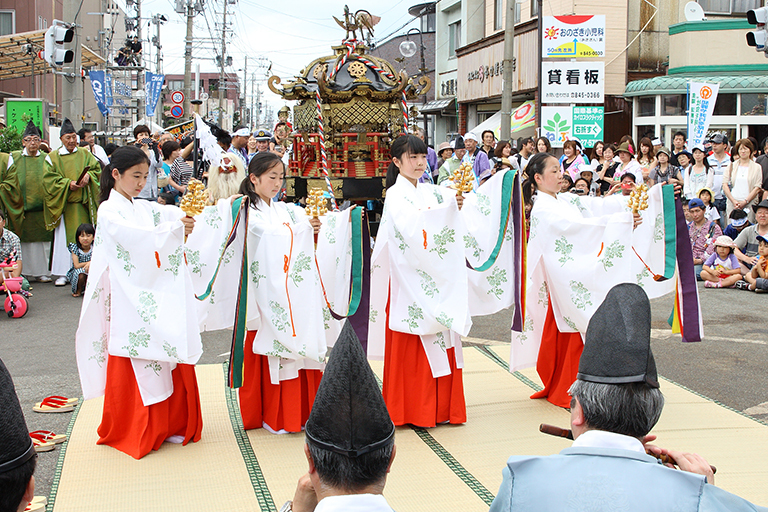 It is an Important Intangible National Cultural Asset and has been loved by many under the nickname of “Tsuchizaki Minato Hikiyama Festival”. 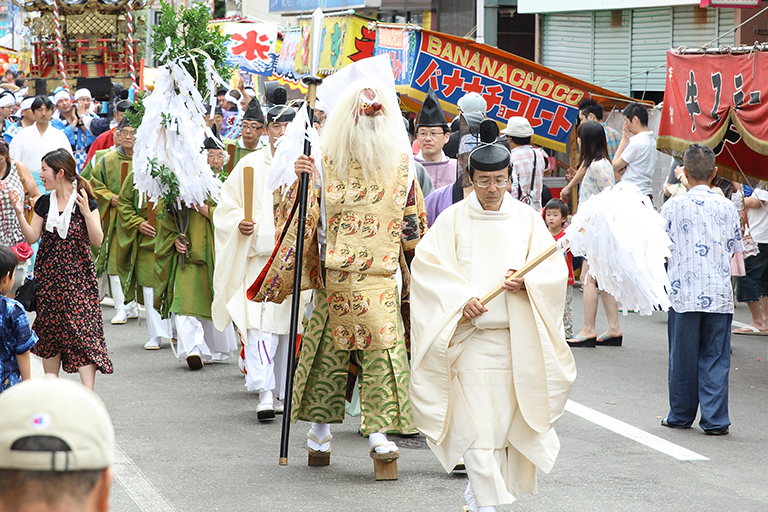 The Hikiyama Parades are performed on July 20th and 21st, but many other rites and festivities occur before and after the Parades. 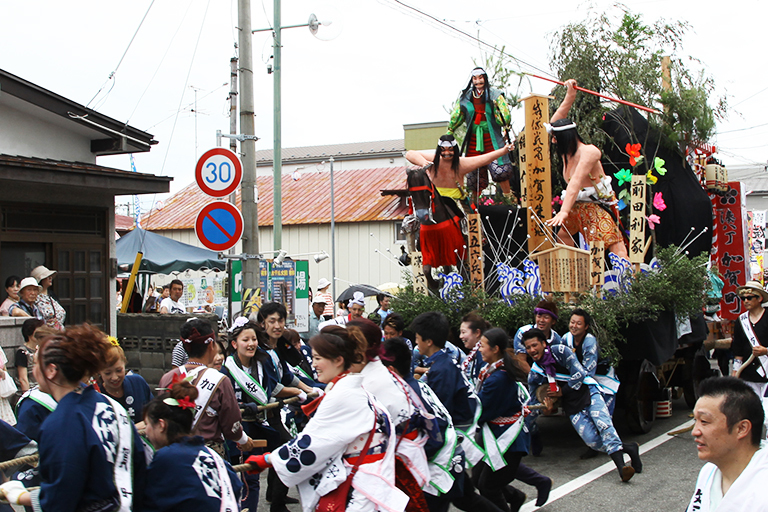 This is a festival of long tradition and deep affection for the Tsuchizaki locals. Tsuchizaki port and Tsuchizaki Shinmeisha, which is the central shrine of the Tsuchizaki town. 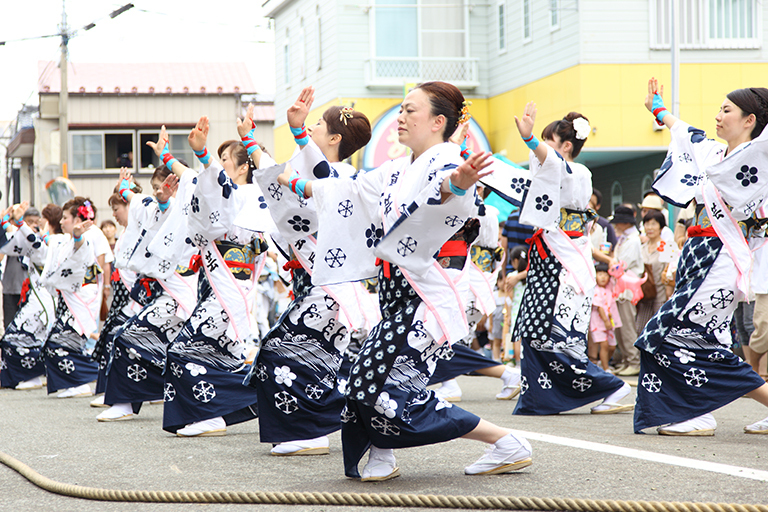 Tsuchizaki Port is a district located in the northern part of Akita City, Akita Prefecture. It is a castle town in the Middle Ages, prospered as a port town for a long time, and it was also the port of calling for Kitae. 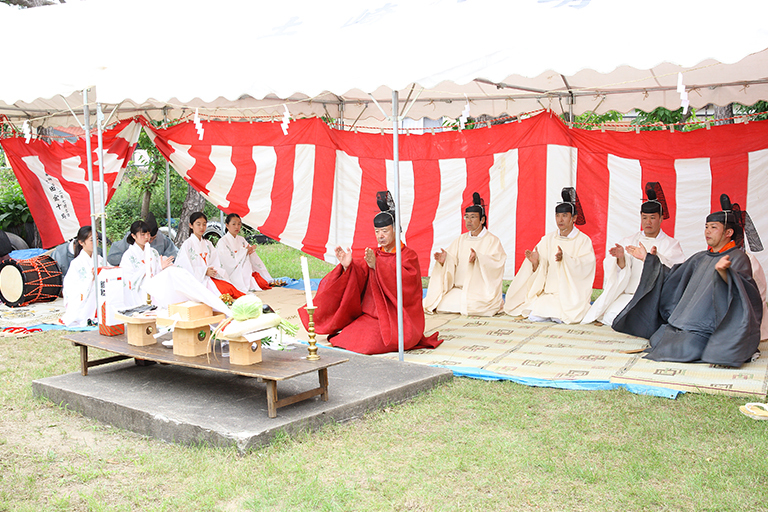 Mr. Andon who was a castle of Minato Castle as a result of the battle of Genki Shinmei, the result of the battle of Sekigahara, will be renamed and in lieu of Mr. Satake from Hitachi (present Ibaraki prefecture) Mr. Satake enters Minato Castle. Mr. Satake started the construction of a new town shortly after the transshipment to Akita. 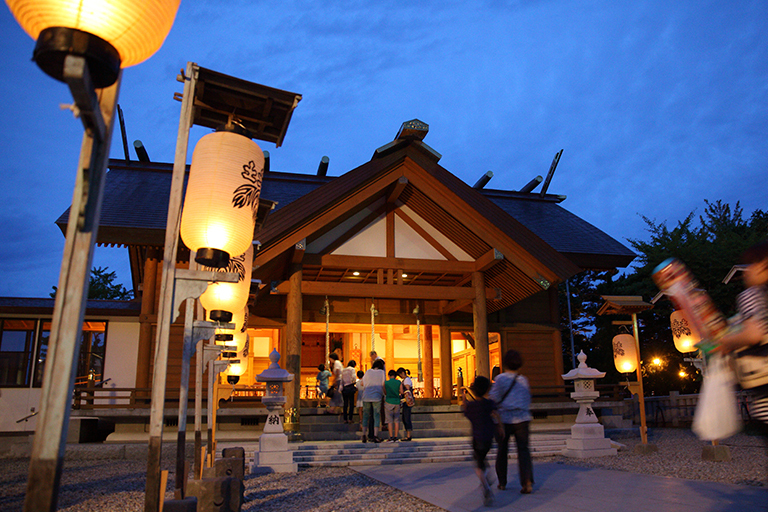 Newly built Kubo Tadashi (present Chiaki Park), moved as a castle castle castle castle, moved forcibly the residents of Tsuchizaki, improved the castle town. 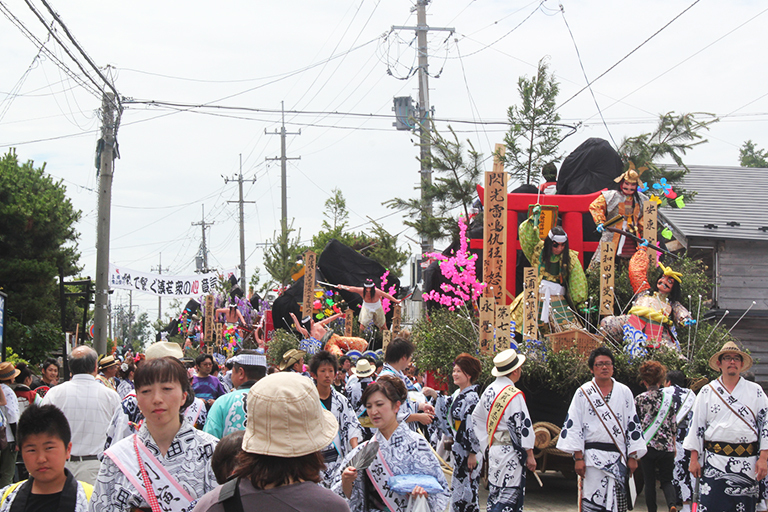 As a result, the number of residents in Tsuchizaki town has drastically decreased. 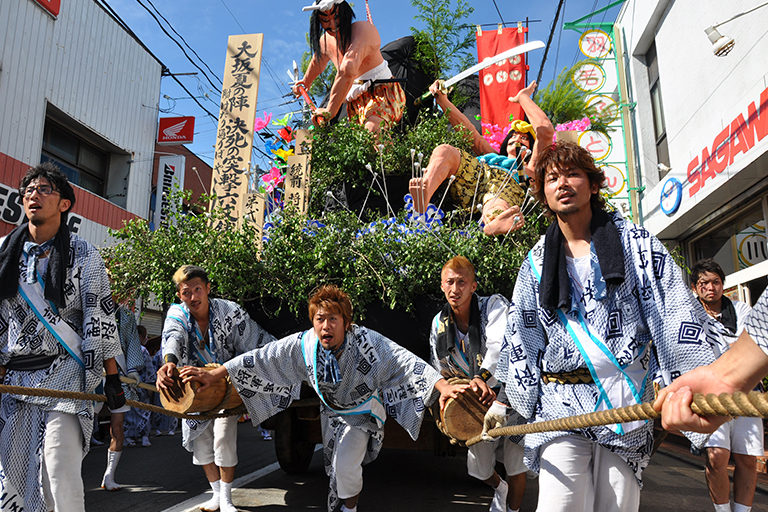 However, Tsuzaki, which was one of the most famous port towns since ancient times, will eventually regain its vitality. 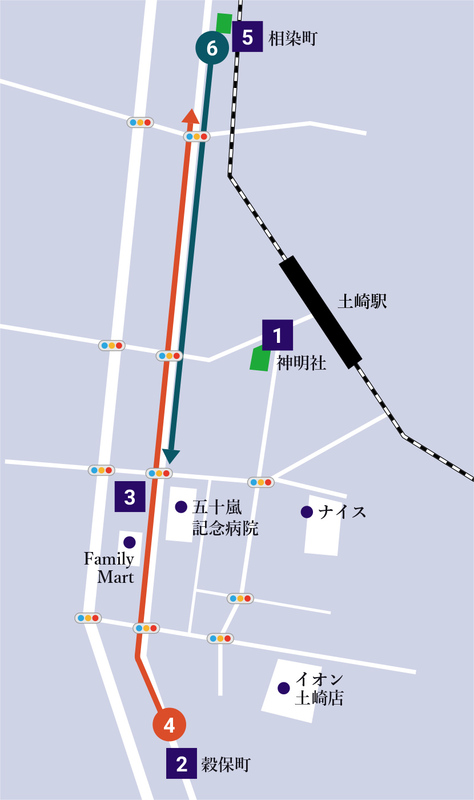 Under such circumstances, Moonaka’s sixth year (1620), Shogaku company which was Shinkansen of Mr. Tsuchizaki · Mr. Kawaguchi’s shrine (the god of the heavenly gods) moved to the former site of Minato Castle (current Shinmeicha), the town of Tsuchizaki It is the beginning of Tsuchizaki Shinmei Co., Ltd. to make it the total guardian of the company. 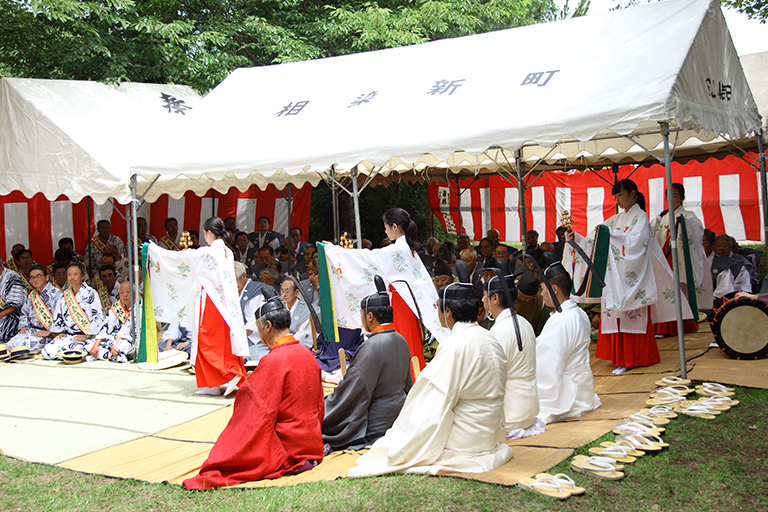 In this way, Tsuchizaki Shinmeisha was created in hopes of the development of the town of the new era, as Tsuchizaki, a medieval castle town, has undergone a major change due to transformation and the construction of new castles and castle towns. 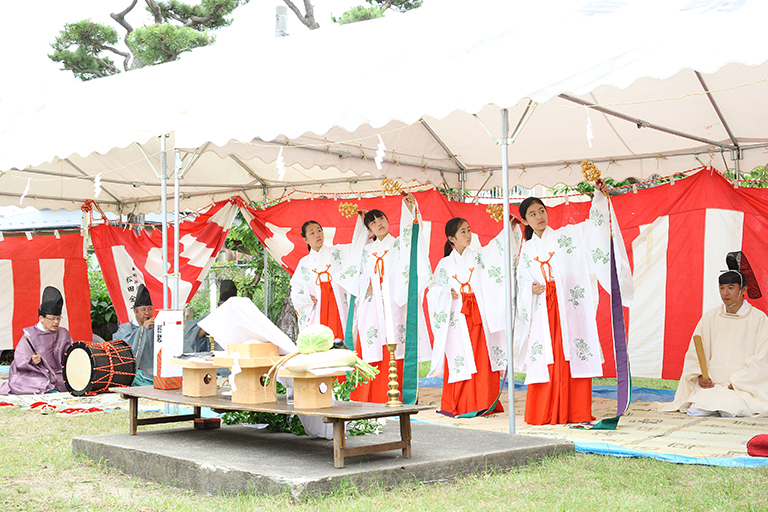 “At around noon on the 20th, each float team visits the Tsuchizaki Shinmeisha to offer their float to the god. Morning 21 – midday. 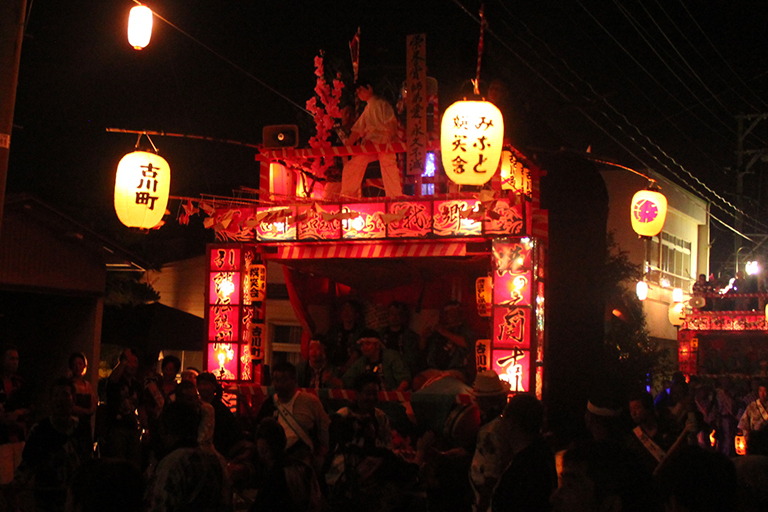 At the Tsuchizaki Shinmeisya, the portable shrine aims at theKokubo-cho’s traveling place. 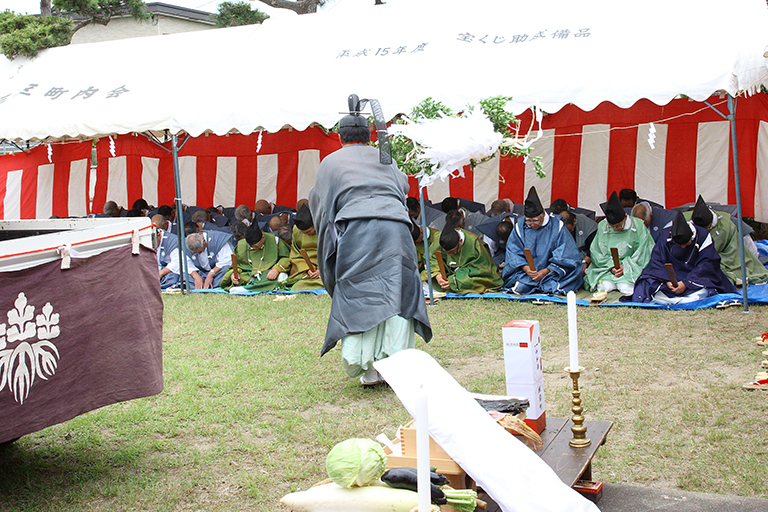 Meanwhile, the hikiyama in each town gathers in Kokubo-cho and line up in a row and greets a shrine. 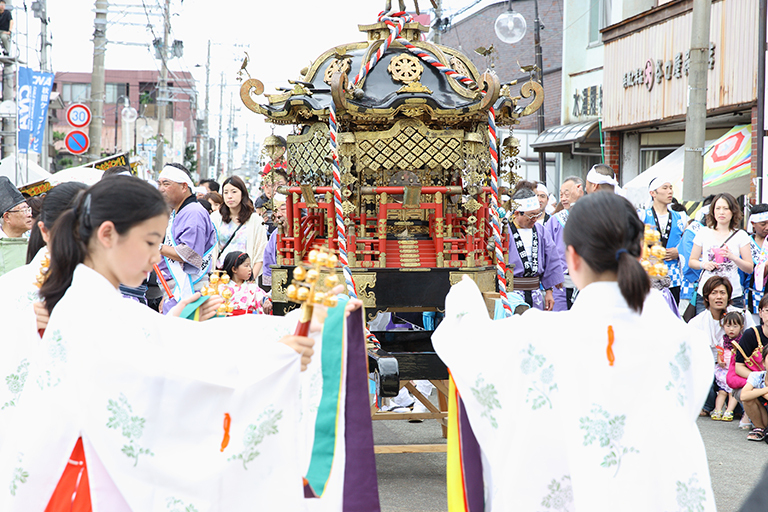 Afternoon on the 21st, the portable shrine will finish the festival in Kokubo-cho and head towards Sozenmachi’s traveling place. 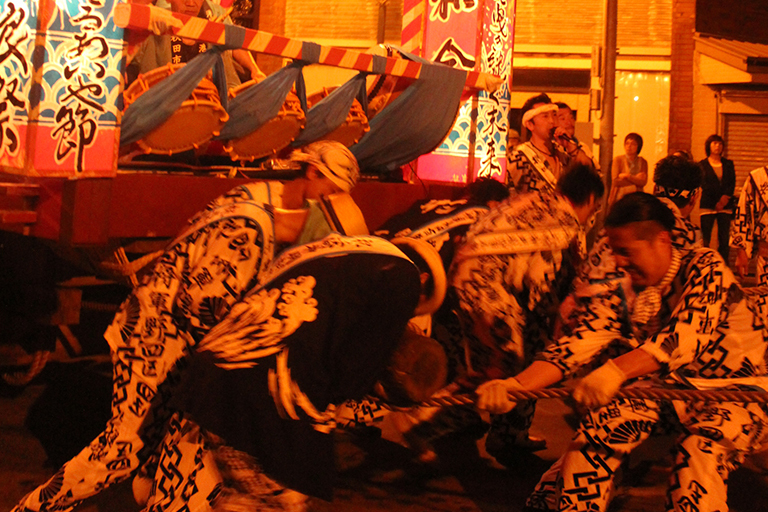 In celebration of the 4 hundred years of Tsuchizaki Shinmeisya’s fiscal year in Heisei 20 fiscal year, we celebrated Honcho street on foot and the dancing of Urayasu was also performed. 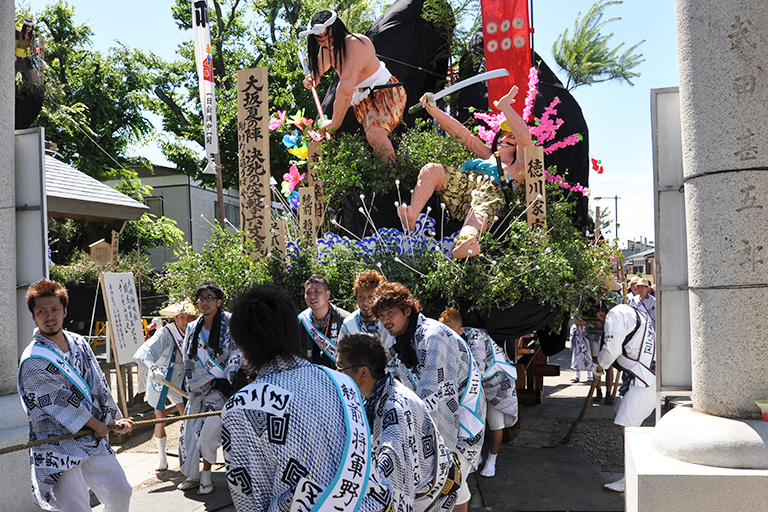 “July 21 at 12:30,After the portable shrine has received the Otabisho Festival service in Kokubo-cho, the hikiyama parade commences the “”Miyuki Yama””, which is a march toward Sozenmachi, the next Otabisho point. 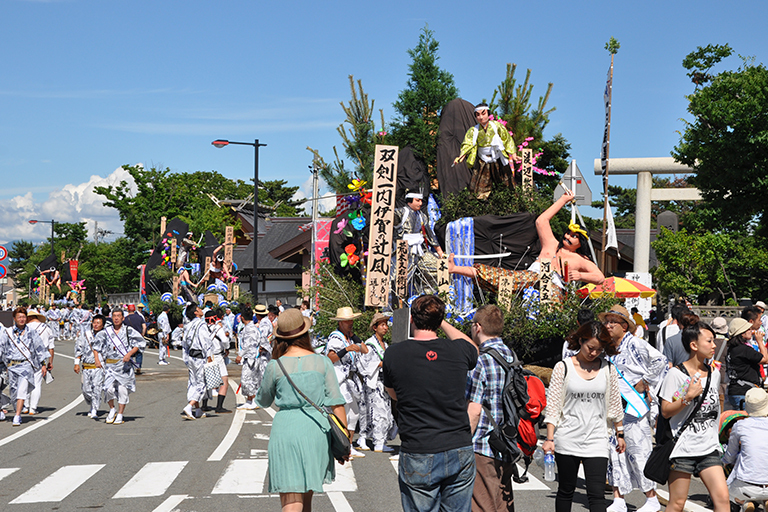 Sozenmachi Otabisho Festival is held at 14:30 on 21th. 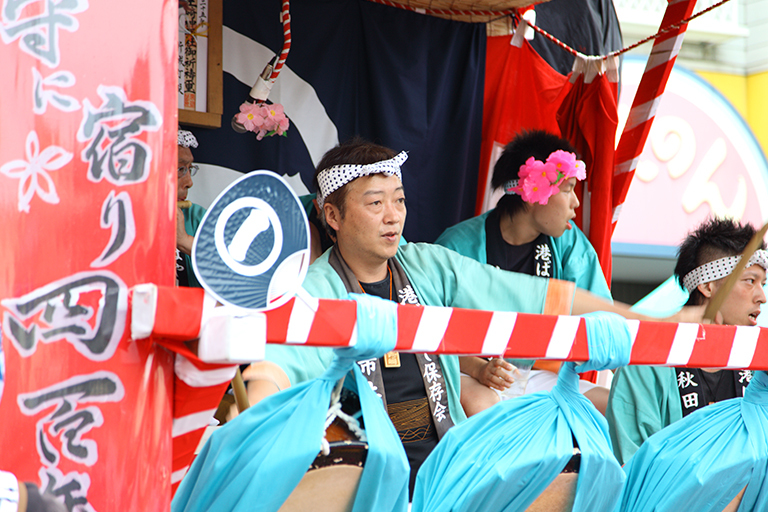 After that, the mikoshi returns to Tsuchizaki Shinmeisya and Kangyo festival is held. 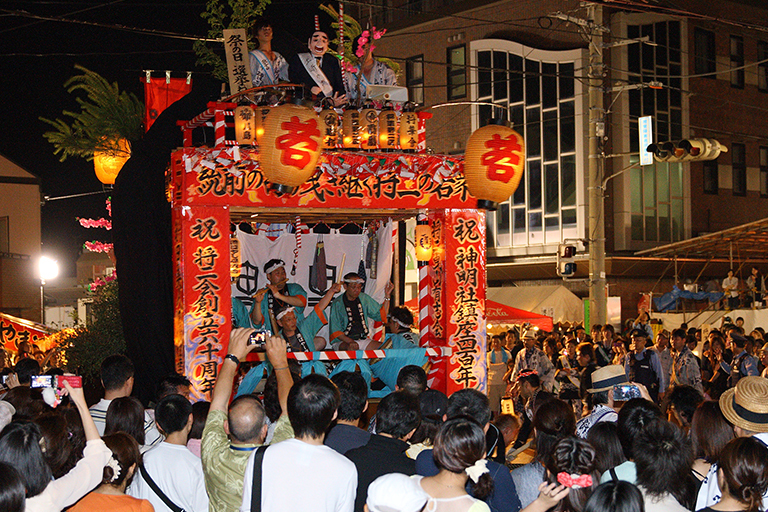 “July 21 at 20:00,To the melancholy tune of “”Aiyabushi”” music, the floats depart one by one to go back to their respective neighborhoods. Copyright © 2018 秋田みなと振興会 All Rights Reserved.